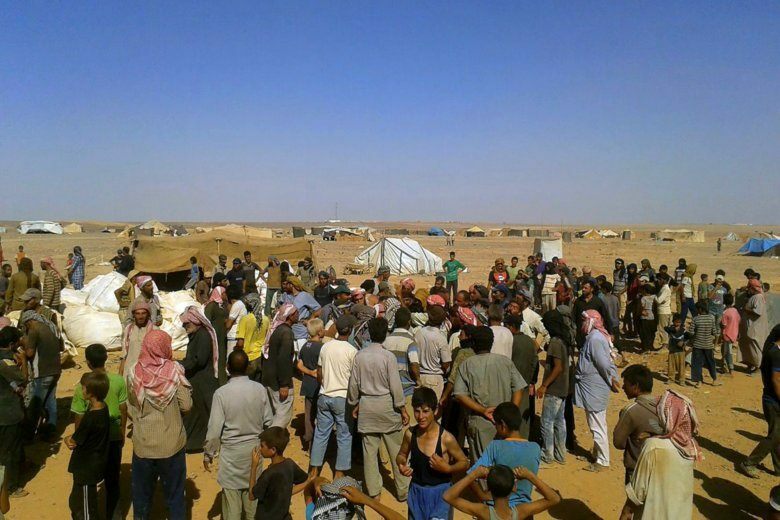 Russia has recently called for the Rukban camp near the Jordanian border to be dismantled and accused the U.S. of hindering such efforts. In the past, Russia and Syria have accused the U.S. of blocking aid delivery. The camp, which is surrounded by areas controlled by the Syrian government, lies within a “de-confliction zone” agreed to by the U.S. and Russia. The U.S. “expects all parties to abide by this (de-confliction) agreement,” he said in an email to The Associated Press. U.N. officials have said most of Rukban’s residents want to leave, but fear for their security and need more safety guarantees. The last aid delivered to Rukban was two months ago. Jordan has closed its borders with the camp, citing security concerns. For a period, aid used to be delivered across sand berms from Jordan, until the first shipment of aid arrived to the camp from Damascus in February.